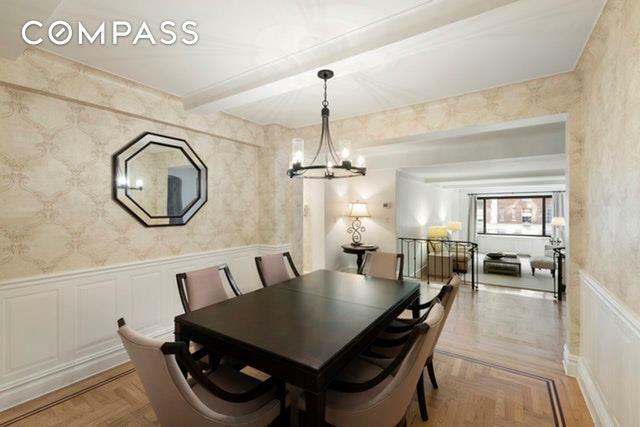 Elegant and expansive 4 bedroom 4 bathroom apartment in one of Manhattan's premier prewar cooperative buildings. 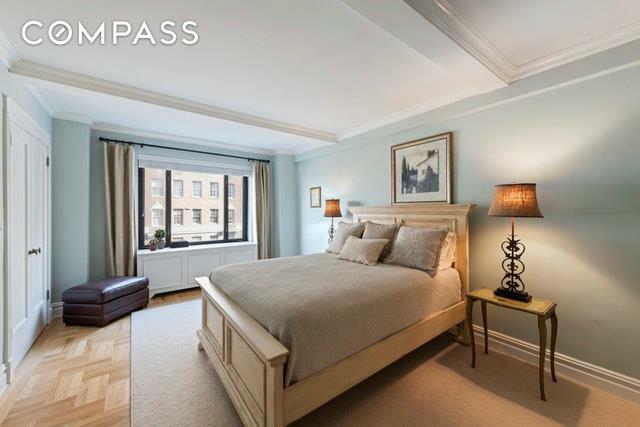 Residence 8DS at the white-glove 2 Sutton Place South is an exquisite renovated 8-room apartment offering wonderful views of the tranquil East River and striking Queensboro Bridge! 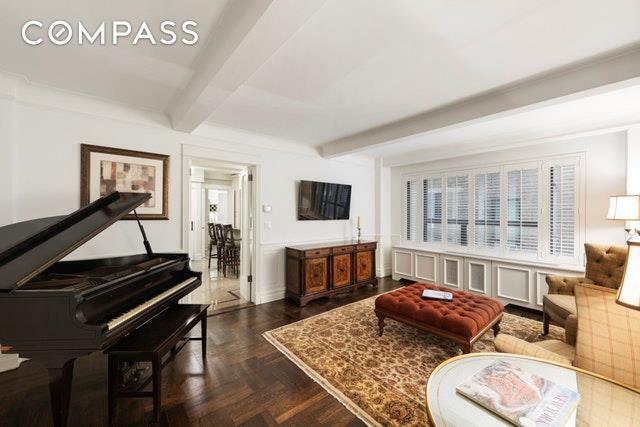 Bathed in natural light, with large windows on triple exposures (east, south and west), the gracious layout is perfect for entertaining and enriched by classic elements like hardwood floors, airy beamed ceilings, beautiful millwork and tasteful moldings. An entry foyer with closet opens to a reception gallery, off of which is a spacious east-facing living room with a wood-burning fireplace for hosting guests. Serve meals in the wainscoted dining room set across the gallery, which connects to the chef's kitchen through a butler's pantry equipped with wood cabinetry, granite countertops, a Sub-Zero refrigerator, 48-bottle wine fridge, and wet bar with sink. The thoughtfully-designed, finely-finished gourmet kitchen is the heart of the home, styled with generous cabinet space, granite counters and island with seating, premium Viking, Sub-Zero and Miele stainless steel appliances, a huge walk-in pantry and a washer/dryer. Adjacent sits a comfortable family room, and a bedroom suite with a windowed bath beyond. On the south end is the lovely master bedroom complete with an enormous walk-in closet and private bath with double sinks and tile shower with glass door. The 3 additional en-suite bedrooms also offer ample custom-outfitted closets.Built in 1938 and conceived by the preeminent Emery Roth, 2 Sutton Place South is an exceptional full-service building with a circular driveway, full-time doorman, live-in super, state-of-the-art fitness center, gorgeous rooftop garden, bike room and storage. 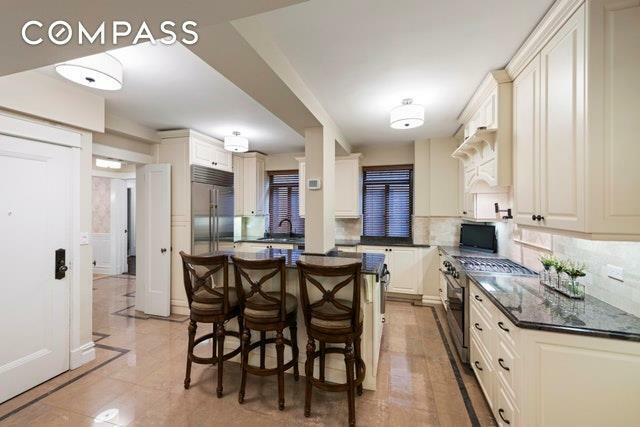 The location is superb, near a fabulous assortment of shops and restaurants, the East River Promenade, FDR Drive and public transportation.Pets and pied-a-terres are allowed. Wheelchair accessible. Apartment includes additional storage unit. Listing courtesy of Richard Zwerling of Compass.